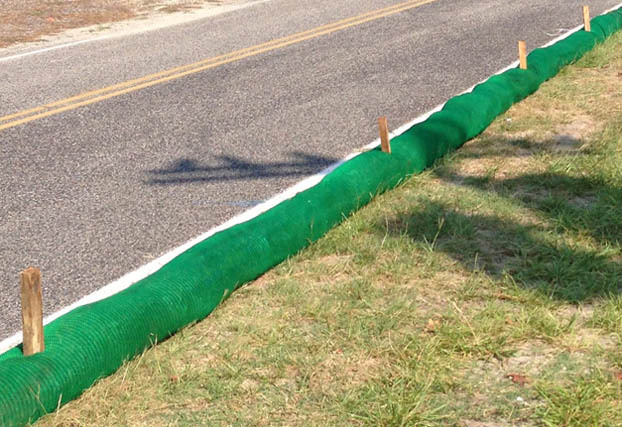 Filtrexx® is the original tubular mesh used to contain composted media for a variety of erosion control, stormwater management, and green building applications. 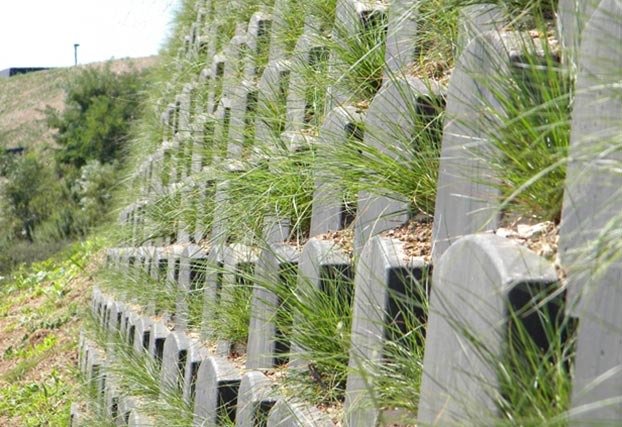 Filtrexx products use locally sourced composted green residuals inside a patented mesh containment system to Mimic Nature’s® principles of containment, filtration, retention, detention, energy dissipation and vegetation establishment. Filtrexx products contribute to the LEED points of a project in several categories. 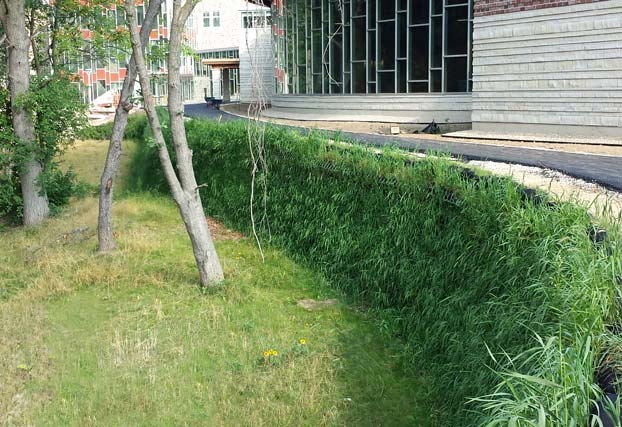 SmartSlope LivingWall™ has large planting pockets. The GroSoxx fascia prevents erosion. SmartSlope batter enables greater wall height construction before reinforcement is required. 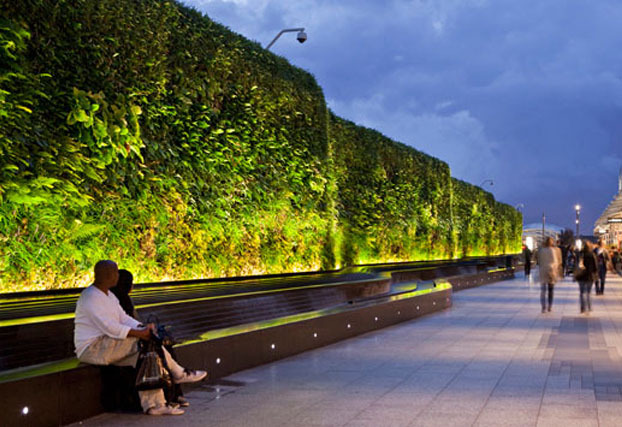 Trinity® LivingWall™ has the structural integrity of wire wall with plantable fascia. 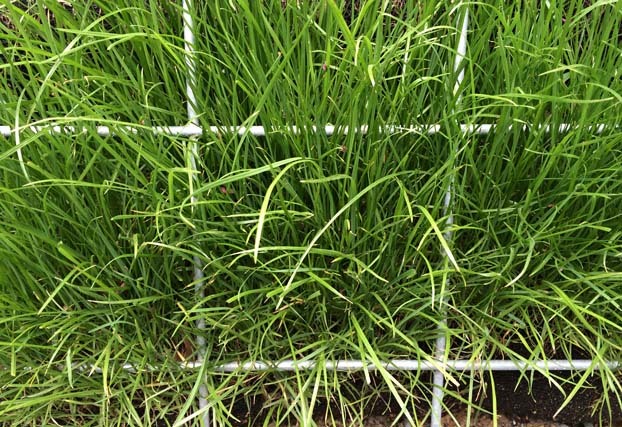 GroSoxx® can be pre-seeded or planted with plugs, seeds or live stakes. EnviroBloxx® is a radically unique light-weight system made of 100% recycled plastic. 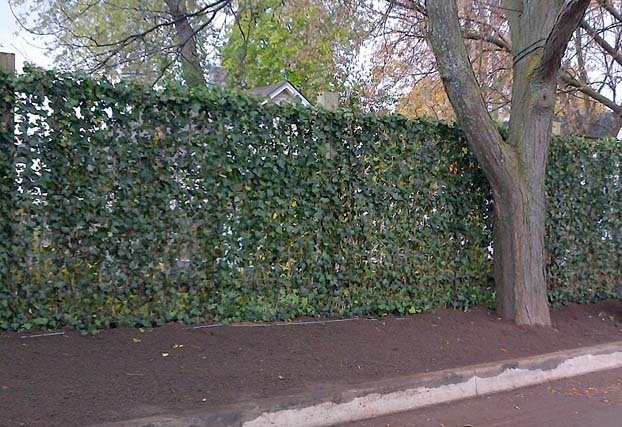 Filtrexx Pre-grown Green Living Fence instantly adds privacy, security, and greenery. 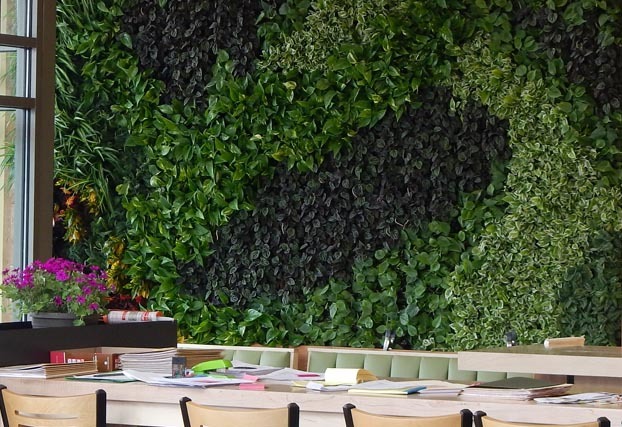 Add dramatic vertical greenery to your interior or exterior wall. 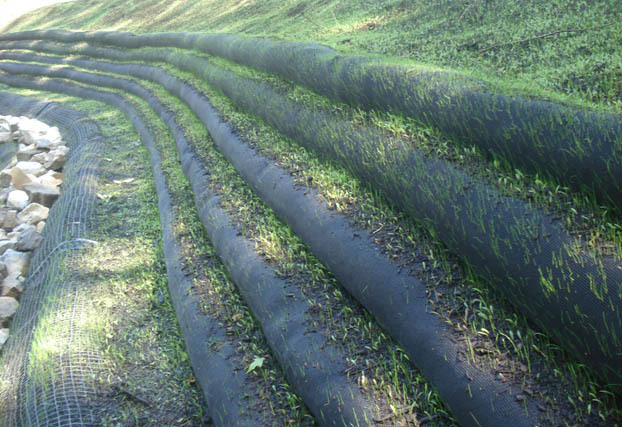 Filtrexx® SiltSoxx™ use compost to remove up to 97 percent of sediment. GroSoxx® immediately stabilize slopes and banks and provide superior long-term growth. 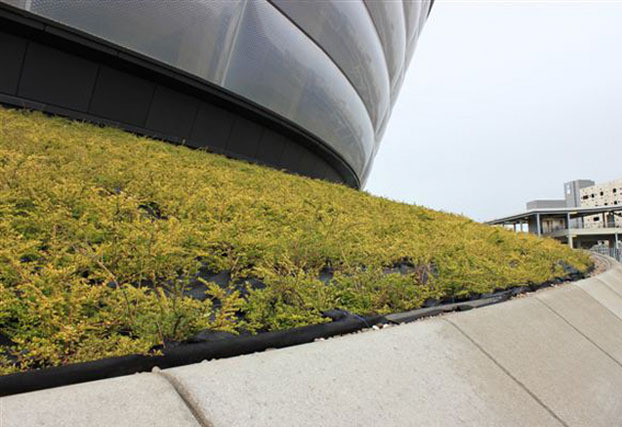 Incorporate GroSoxx® into green roof design to help contain lightweight engineered media. 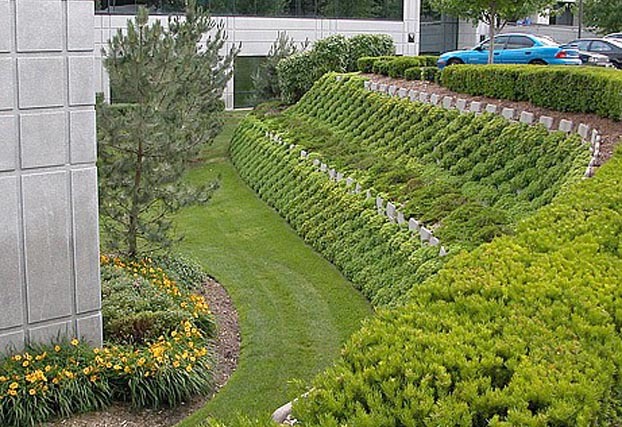 The plantable fascia of GroSoxx® Gabions adds beauty and strength. 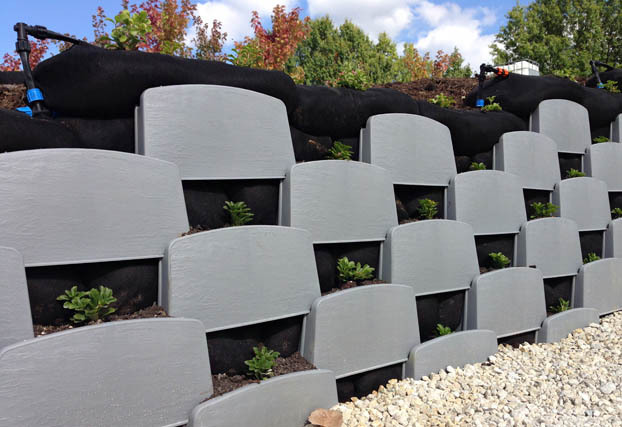 Filtrexx LivingWalls™, including SmartSlope™, EnviroBloxx®, Trinity® Wire Wall, GreenLoxx®, and GroSoxx®, Indoor Living Walls, and Green Living Fence; Filtrexx SiltSoxx™ Compost Filter Sock; EnviroSoxx®, and GardenSoxx®. Filtrexx is a carbon negative company. 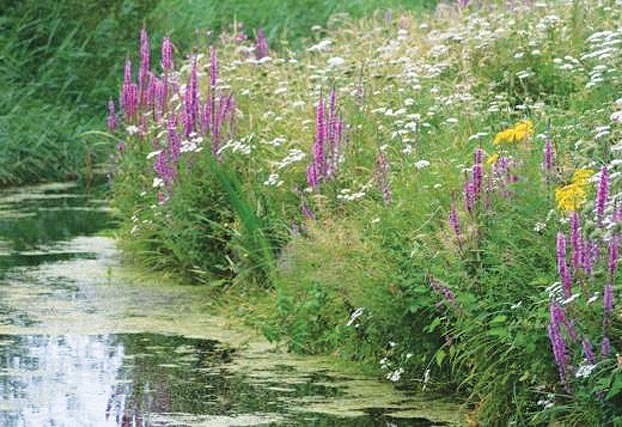 Our bio-based products use annually renewable, locally sourced organics to retain, filter, and bioremediate storm water, and establish vegetation.